Guido Canali, born in Parma in 1935, belongs to the generation of masters who have been working since the 1960s and 1970s. 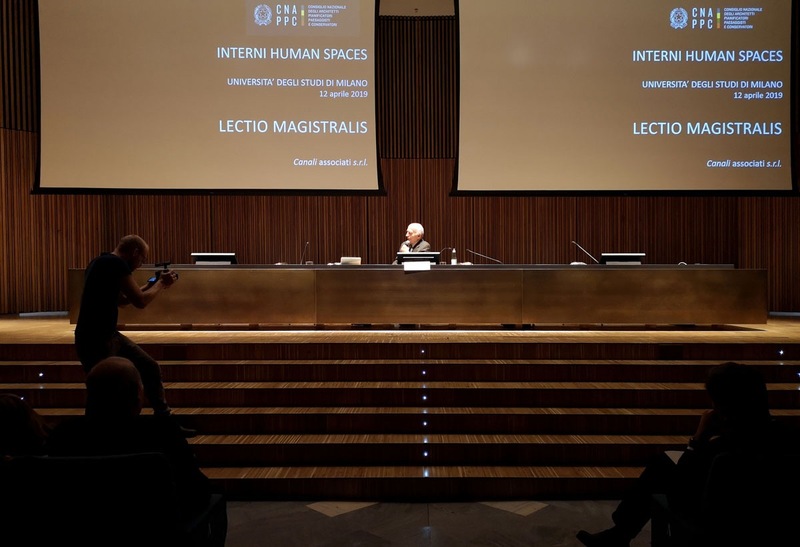 As professional and professor, he divides his time between his studios based in Parma, Siena and Munich and the Faculty of Architecture in Ferrara. 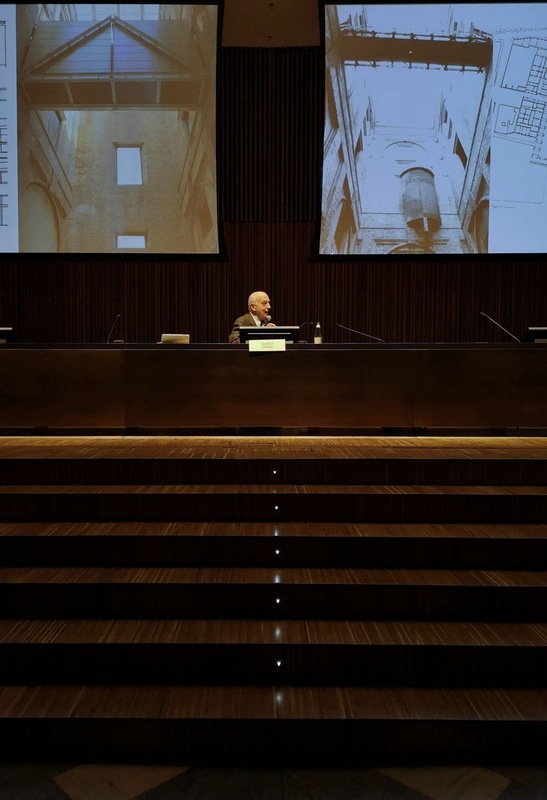 His work has focused on living space in the residential complexes developed around the theme of the typical Po Valley house, in Parma, Reggio Emilia, Sassuolo and on work environments. Among his latest works, particularly worth of mention are the new Prada Headquarters in Valvigna (Arezzo) where the model of the garden factory has been applied, which includes plants and trees on the roof, terraces and internal gardens, as well as Smeg’s headquarters and offices in Guastalla (Reggio Emilia) and Maglificio GranSasso’s offices in Teramo. Guido Canali said: "These projects are connected by a green thread which intends to use greenery, Nature as a soothing element, an aid to spend your working days ". This architect also tried his hand at restoring and refurbishing historical buildings and museums, thus becoming one of the most refined interpreters of Italian architecture at the service of museography. Just think of the recovery of the ancient hospital complex of Santa Maria della Scala in Siena, which has become a museum and a conference centre, of the restoration and re-use of the Pilotta, the setting up of the National Gallery in Parma, the New Great Museo del Duomo in Milan, the extension and the new setting up of the Museo delle Statue Stele Lunigianesi in Pontremoli (Massa Carrara). 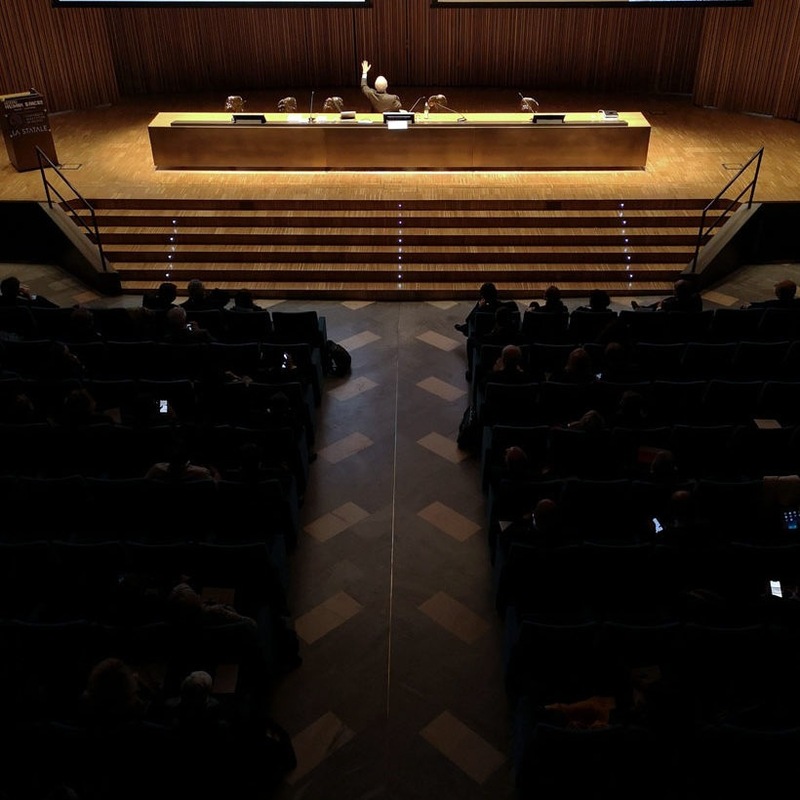 Guido Canali explained: "For me, the recovery and setting up of a museum space is always a complex work that requires particular conceptual inventions to reinvent space. In order to create an adventurous, evocative journey, almost a show, an atmosphere of imaginative storytelling: this is interesting in a museum because it keeps the visitor's attention awake". An attitude of great respect for the original work, with the recovery of historical materials as well as original finishes and floors. Restoration as faithful adherence to the historical artifact. The attempt to reestablish a path by putting environments which are often separated and isolated one after the other. A reinterpretation of the spaces to recover situations that reveal previous interventions. With great respect and humility.